Hello again, friends! It’s me, Beth! *waving enthusiastically* Since I haven’t gotten myself kicked out of Seekerville yet (that’s mostly my irrational fear and insecurity showing), we get to hang out and chat about reviews! YAY! As we established last time, I am not, nor do I desire to be, a writer (#ratherbereading)… however, I am (or at least I strive to be) an encourager! A few years ago, I (like many readers) simply didn’t realize the significant role reviews play in the successful launch of a book. Reviews play a significant role in the successful launch of a book! Authors need YOU, the reader, to play an active role in book marketing! Maybe I’m the only one around here with a hyperactive need to be needed but that got my attention. Books NEED reviews to increase visibility on retail sites and attract the “right” readers. Write the reviews! Be they short and sweet or even quirky (example food swoof), find your own voice and embrace it. You are the very best you there ever was or will be, after all! What you include in your review is up to you. Simply share what you liked (or didn’t like) about the story or characters or share who you would recommend this book to. What makes a reader (or consumer) review unique is YOUR experience of the story. Disclose when you receive a copy of the book from the publisher or author! This is non-negotiable. You MUST “clearly and conspicuously disclose” that you received the book free of charge according to FTC rules. Those are the big dogs, y’all… they are not playing! Post your review on multiple sites from goodreads, Amazon, Barnes & Noble, and Christianbook.com, to Walmart, Target, Kobo, Google Play, BookBub, and more! Share your review on social media! Include a cover photo, tag the author and/or publisher, and pop a goodreads or retail link in the comments! Summarize the story, this is what book blurbs are for (also refer to our first “do not”), focus on sharing your opinions. Your review doesn’t need to be lengthy, a few sentences will suffice, I have also seen recommendations of anywhere from 150 to 250 words as an ideal length for consumer sites. Attack or question the author’s personal values, or beliefs. It’s okay to disagree or dislike the story but let’s keep it classy, friends! To review on Amazon, your account must have purchases totaling at least $50 for each 12 month period (excluding Prime membership fees) and your review must not be a requirement in exchange for the book or influenced by the author or publisher. Here's an example disclosure: "I received a complimentary copy of this book from the publisher and was under no obligation to post a review. The opinions expressed are my own." Authors and reader reviewers can connect through Facebook groups (for example, search “Christian reviewer” then click on the groups tab), publicity groups (such as JustRead Publicity Tours), or individual author or publisher influencer groups (aka street teams). Readers, know the difference between reviewing and influencing. Author friends, please take the time to remind your reviewers about the FTC disclosure when you request reviews. Now that y’all are equipped with the nuts and bolts of reviewing, Annie, Carrie, and I will share our answers to a few questions generously provided by some author friends. How do you decide how many and which books to review? Annie: It all depends on my schedule and if I've committed to it. I have a horrible habit of judging a book by its cover and can never say no to a pretty book. The only conundrum is when I'll be able to review, unless I've already scheduled it on my calendar. I also like to jump around genres, so that has an impact on what I read. Beth: How much time I can devote to reading determines how many books I review (about 2-3 books a week for this year) and I try to choose books in a variety of genres and settings. How far in advance do you fill your calendar or do you just make a big stack and pick a book randomly? Annie: My calendar fills up fairly quickly and far in advance, but I do leave a good amount of "free time" for the books I'd love to read but haven't had the chance, or for author friends that sends me last minute requests. I'm also a big stack kind of gal. Carrie: My calendar basically fills up four months out. So, in other words, I'm 'booked' through September right now. But that doesn't mean that I won't squeeze in another one because of a pretty cover or a great synopsis or a favorite author. I do a lot of blog tours and that keeps me on a schedule - otherwise i get overwhelmed with all the options to read next lol. Beth: I tried the stack but that didn’t work out so well. Google calendar and Trello are my BFFs so I am scheduled out about 6 months in advance with only a little wiggle room. Suzie's summer cut left her chilly. What aspects of the story or reading experience do you tend to cover in your reviews? Annie: I'm more of an emotion-based reviewer. I don't do story paraphrases, but rather how it made me felt, what I thought about the storyline and the characters. Did they evoke some level of emotion from me? I might also touch on the writing aspect too. For difficult or negative reviews, I often pray about it since I want to be constructive in my criticism, but also being kind and showing grace in the process. Beth: I tend to be character focused and share my experience (for example, kept me up all night or made me laugh out loud) because it helps me avoid spoilers (I also use the book blurb as a sort of spoiler-proofing guide). Do you review immediately after reading? Annie: Most of the time I do, but there are instances where I couldn't even go there yet. That has more to do with the book and the storyline, but at times, it's just because I don't have the time to sit and contemplate my review. I'm not one to write my reviews on my phone. I need my laptop for that, and I don't always get to my laptop right after. Carrie: Mostly. I like to review the book while everything is still fresh in my mind. Beth: That approach would probably work best but I tend to read more than one book at a time and then have a blogging binge. What reviewers are eagle-eyed about? Do you look for discrepancies or are you more of a character driven/story driven reviewer who forgives a small error? Annie: I'm more emotion-based and love a good balance of both character/story driven. I'm not picky on mistakes, but if a book is supposed to be edited and proof prior to release, I'd expect a rather clean copy. Formatting is also big too, especially if it hinders the reading experience. A typo here or there won't be an issue, but if it's throughout, along with grammatical errors, then I do tend to point it out. That said, I also will notify the publisher/author if a second printing or a digital fix can be done. Beth: Although there are eagle-eyed reviewers, I’m here to enjoy the stories not nitpick so unless there are so many errors that it takes away from the story, yeah… what Annie said. All reader reviewers get a big hug from me today! Y'all play an invaluable role in the publishing industry! What reviewing dos or do nots would YOU add to our list? Speaking of do nots... don't forget to pick up a donut or two (these are super tasty, zero-calorie virtual donuts so don't be shy!) while we visit and chat!!! Let me know what flavor you want! I don't do that many reviews these days but I've probably written more than 1000 over the years. I used to review for newspapers. These were scholarly and serious and not all that much fun to write. Lately I only review books I really like and want to share with like-minded readers. 1. I don't review books that I'd give less than four stars to. I'm not paid and I'm not a consumer advocate. It's not my job to discourage anyone who might like a given book from reading it. 2. I want 'skin in the game'. I don't review books that I got for free unless I won them. If I want to review a free book, I buy it in the Kindle version so the review shows up as 'verified'. In short, I want to review a book like an average reader who bought the book or got it from the library. 3. I like to point out in a review what the author does best…perhaps better than any other author I've read. Some writers write great descriptions, others do great dialogue, and still others write what I call 'crystal clear prose' in which I never have to read a sentence a second time to determine which meaning that the sentence could have that the author intended. I do this to help other writers who are interested in seeing good examples of different craft-points to learn from. I do write for other writers as well as anyone else. I know, I know. One author had a hissy-fit over a review that seem to indicate that I was talking too much about the writing craft! "People won't believe the review. You have to sound like an ordinary reader!" No I don't. I can sound any way I like. It's my review. Period. 4. I try in my headline and first line of copy to attract the attention of the type of reader who will most likely enjoy the book being reviewed. If the title and cover art will lead the reader to think it is a very different book than it really is, I want readers to know this. There is little sense it attracting the attention of readers who will not like to book and feel deceived by the title and art work while at the same time not getting the attention of the very readers who would love the book! In summary: I feel my job in reviewing a book is to have a real reader experience and then do my best to attract the attention of the readers who will most likely enjoy the book because it is the right kind of book and because it is at least a four star reading experience. That's it. Of course, I don't expect other reviewers to do the same. Each reviewer can review books for their own reasons. And I firmly believe in readers' rights to post their opinions for other readers. They're not posting for ME. They're posting for THEM. And that's a huge difference. I think you also make a great point about covers and the draw, but then when I research covers and known authors, I found it doesn't matter nearly as much... because they have an audience, a readership and that readership sees the name... before the cover. So that's an interesting thing, right? At that point publishers could put just about anything on the cover... and the author's large font name... and the book sells. And I'm still convinced of the word-of-mouth effect on readership. Readers share books and opinions... more people buy the author. And that's my favorite thing! Good morning Vince! Good points. I do think even negative reviews have its merit. Also with the current algorithm Amazon or other retailers with reviews have, it doesn't matter if the review doesn't have as many stars, but it's about quantity to see if it has potential to be "shown" and getting the book in the face of readers, even for a nanosecond leaves an impression. You have set an excellent criteria for yourself with your reviews, Vince. That must make it easier when you sit down to wright one, keeping the focus of what you want to say forefront from the beginning. Very smart! Beth! Good morning sweet thing, and you didn't get your eviction notice yet???? IT GOT LOST IN THE MAIL!!!! This is great info. Remember.... wait... you're young.... okay, back in the day, reviews were only done on literary works or Romantic Times and the literary ones were generally somewhat tedious, high-brow affairs. Life changed with the advent of Amazon. Now normal folks get to share opinions. Thank you for this encouraging post, Beth. Great ideas... great opinions! Well, I'm glad the mail finally kost something other than precious books! I'm on the fence of young, Ruthy, I like to think I have the best of both worlds 😉 I remember the world before the internet and Amazon yet I've been able to do my Christmas shopping without ever leaving home (if I so choose) for my entire adult life. The availability of reviews from everyday people in general has changed the way we shop (and travel)! I find myself reading reviews for just about everything before any first time purchase. Good morning ladies, I am in genuine and dangerous need of caffeine, which got me in this predicament in the first place. Beth, I, too, read reviews of everything before buying!! It's sometimes ridiculous how much time I spend on checking out products before buying. I have finally gotten my blog up and running on Word Press. I have been reviewing books on Amazon and Goodreads and others, but now to do it on a blog is a whole new ball game. I've been trying to figure out what I should or shouldn't do. I finally decided I would type in the back cover blurb to give it a little length and then say how many stars and then post the same review I give on the other sites which is usually just a small paragraph giving what is my thoughts about the book. Then I post a picture of the book. Is this the best way to review on a blog? I am wondering if any of you know the best way to build a readership. I post a link on my facebook page every time I put up a new post, but there are very few comments on the blog. Please share any helpful hints. I have been told I need to write something at least every week. I am trying to do so but some weeks it may be just a book review. Hi Wilani! Welcome to the blogging world! What you have described sounds pretty standard with the addition of a small author bio you'd have my go to layout. I'd recommend hanging out on some other blogs and take note of what you like and what you don't like. We're always looking for and sharing new ideas! Building a readership just takes time and consistent work. Consider adding a discussion prompt at the end of your reviews to engage your readers. The first year is a building year, use it to find your voice and style and form good habits. If you are able to get involved with some publicity groups, that is a great way to grow (giveaways are a huge draw). A couple little tricks for Facebook: share your post in groups (check the group rules first). In my experience, pictures receive more views than links so share a teaser line along with the book cover then drop the link in the first comment. I'll have to get you the link we book bloggers put together for Seekerville a while back,it's packed with blogging goodness! Here it is! How to be a Better Blogger with SOAP! Wilani, good for you for getting your blog going! I'm sure it takes time to build a readership. Never compare yourself to Seekerville! that's the #1 rule. MOST blogs unless they are very well-established daily blogs don't get many comments. The numbers are dropping. I also tend to NOT comment if I'm no my phone instead of my computer. So don't be discouraged. I have been watching and I SO appreciate what you are doing, Wilani! thank you so much! That is an excellent point, Deb! Just because posts aren't getting comments doesn't mean they aren't being read or having an impact. You can check your blog stats if you want to see which posts are getting attention. For example, the number of page views my blog got in the first 2 months of this year (posting 3-5 times a week) exceeded the total number of page views for my first year (launched in April and posting 6-7 times a week). Just keep plugging away and you'll see slow and steady growth. Good for you Wilani for starting your blog!! I think whatever Beth said and I recommend new bloggers to not compare with other more established blogs yet idea. I also would stay away from numbers if it get you down. Keep at it and just review it monthly, and see if there's something you can change or add...etc. As to comments, I also don't think comments are the only source of seeing how "active" a blog is. For some reason I have a LOT more "lurkers" than those who comments and I'm fine with that. If you're more of a chatter and want more comments, being active is key too. Another way to get traffic is to join publicity tour companies. They do tour schedules that encourage people to visit every stop. A giveaway will help too. Debra's comment about reading but not commenting is so true. I'm the same way about commenting while on my phone. It's just not as easy. And I don't think Blogger ever updated their app. One tip might be to post your blog to FB, twitter, etc. and TAG the book's author. Then he/she will share your blog post with their readers, and maybe even their street team to pass along, thus widening your impact from a single blog post. This is such a great post, Beth! It really helps to hear how reviewers work. It's been this kind of mystery to me, so I'm glad to get info straight from you blogger reviewers. You're all amazing!! And I love that meme above: "Thank an Author, Write Reviews." That's so perfect! Mmmmmm, I'm zeroing in on the apple fritters! Thank you, Missy! This definitely falls under the category of "things we didn't know y'all wanted to know!" I'm so glad this is helpful to you as an author. I wasn't really sure if this would appeal to both authors and readers. Oooh, I love apple fritters! I'm with you, Missy. This was an awesome post, Beth! I think sometimes there's a certain miscommunication between authors and reviewers, and expectations as well. Carrie, you are such a dear! Thank you for volunteering to do that 😘 I shared it around Facebook a little bit but your approach sounds much more enthusiastic and effective! 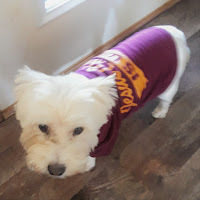 Have an extra donut and a doggy treat for Zuzu! HUGS! Writers love reviewers! Thanks to everyone who has reviewed one of my books. You've blessed me, for sure! Beth, this is a great blog post. I learned so much. I didn't know about the $50 Amazon rule. Does that include buying toys for grandchildren? Or does the $50 have to be book purchases? See I'm clueless! Waving to Carrie and Annie! Thanks for joining in the fun today, ladies. I loved getting a glimpse into how you do so much and provide such wonderful reviews. Carrie, did you mention writing a review each day? So you read a book a day? Amazing! I...am...a...slow...reader. Maybe because I read like a writer hoping to learn some new technique from each story. I analyze as I go along, weighing each turn of phrase, which slows my forward progress! :) But that's a good problem. Hugs to all today. The sun is shining in Georgia and that makes me happy!!! Good morning, Debby! What Carrie said about the $50 at Amazon, the only thing listed that does NOT count towards the $50 is a Prime membership. Hi Debby! Yes, what Carrie and Beth said about Amazon. Nowadays, it's quite easy to reach that mark. Amazon updates its rules fairly often. So check back periodically on disclosures and requirements. Debby, when I met Carrie at one of our local ACFW meetings, I was blown away by how quickly she reads! Carrie, you're amazing! I'm gobbling the virtual donuts as we speak! Will there be any left for anyone else??? Ooo. Did someone say book boyfriends? Also, I am now hungry for REAL donuts!!! I love hearing from All three Reviewers!!! I didn't even know you could review in all those different places. Beth you are a great encourager...all of you are. God bless you! Thanks Mary! Beth's pretty awesome. Mary, I had no idea you could review in so many places either! I'm gonna copy the list and post it to my street team group! I believe in this so much, I've started to host 'reviewers without homes' on my group blog. Hey, I had a nice blog with not much going on, and rather than try to come up with clever content (UGH), I decided it was a great idea (back-patting) to invite reviewers to join us. Many great reviewers don't want the work of a blog. It's a wonderful solution to give them more exposure, help authors and publishers, and bonus for me--I get to learn more about books and our wonderful reviewers! I absolutely agree that reviewers have original 'voices' much as authors do. They all vary but when they come from the heart, that's all that matters to me! I am SO glad you are posting reviews from readers on your blog, Deb!!! HUGS!!! I've considered doing something similar myself in the past but it came down to a lack of TIME! It's definitely something I'd consider revisiting in the future because like you, I appreciate reader reviewers so much! 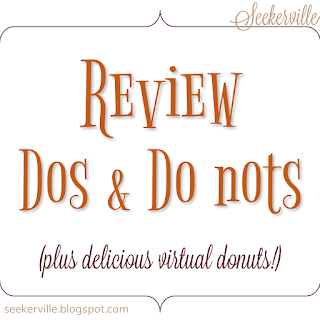 Take a few donuts to share with your reviewer friends! Debra, I thought that was such an awesome idea! Love that you do that and love that it gives these readers a chance to tap into launch teams that require a certain amount of readership! I’m really grateful for this post. I have followed you girls for a while. I’m happy to say I’m one of Deb’s guest reviewers. And a big thankyou, Deb! You are so encouraging. Yes, Deb does all the hard work! I jusy get to read my favorite authors and brag on them! I’m still trying to fine tune my reviews and not give away too much. This list if dos and don’ts is very helpful. Thanks! Happy reading! 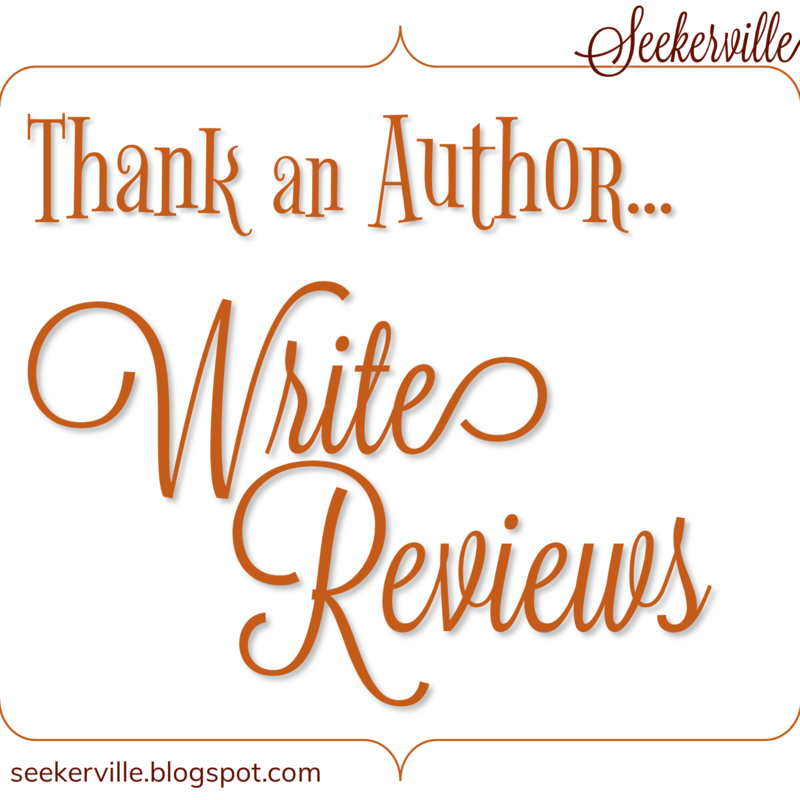 Thanks, Deb, for letting me guest review on your blog! 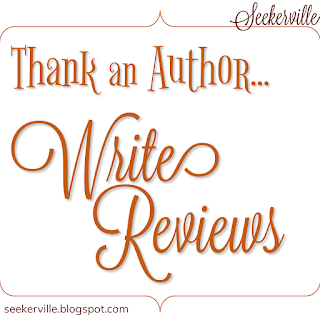 I'm one who doesn't want the stress of doing my own blog, but I love to review and promote for authors. Paula & Winnie, I am SO proud of you! HUGS! Thank you Beth, Annie and Carrie! There are so many great takeaways in this post! And a fun read, too! Bless you for your encouragement of Christian fiction and spreading the word like you do! You're all gems! I agree with pretty much all of these point! The only one I waffle over is the whole summary thing. I find summaries extremely annoying if they're saying basically the same thing as the book blurb. However, there have been several times, especially for new to me authors that a summary review has better or different information and it's what influenced me. Sometimes you can't get a really good feel for genre and subject matter from the blurbs. Hi Kat! There are certainly exceptions to the rule but for the most part, authors do their due diligence on book blurbs and reviews are not usually the place to rehash what has already been said or risk spoiling the story experience for other readers. Yeah, Carrie, that I can see. But, since I'm one of those weird people who doesn't mind spoilers...I'll even admit to wading through reviews sometimes to find one if it's an untried author. But, I acknowledge I'm in the minority here! LOL. I think publishers won't appreciate that idea. Piracy is a big issue, but spoilers have the possibility of lost of sale as well because readers didn't like what was spoiled. Think about it, if everyone "spoils" a bit here or there, either through the book "summary" or actual spoilers, what else is there for readers to find out? Why would authors continue to write if the people don't go out and BUY a book?! You know, I've always kind of had the assumption when I wrote a review on Goodreads or Amazon, that I had to write a short summary. That's one reason why I never wrote more! Because it takes longer to do that (and I'm actually not good at it). I bet a lot of people make that same assumption. I was relieved when I first heard you don't really have to do that! My reviews are typically not very long. I never summarize the story, and I usually just write a couple of short paragraphs about my feelings and what I liked about the book. I find that when I read reviews about a book, I usually skip over the long ones, unless it's by someone I know or if it's on a friend's blog. Beth Erin, I love this post!! I would like to reiterate all your points but especially how important reviews are!! I'm always surprised when folks don't really get this point, and of course I hate asking would you please post a review, you can't make 'em of course, :) But it's true, authors really do depend on those honest reviews, and I love the book blogging community for this reason. Our jobs would be a lot harder without you guys! So thank you, and keep doing what you do, you're all awesome! Thank you, Cathy!!! It's easy for those of use who eat, sleep, and breathe stories to forget that average readers don't know these things! I appreciate your encouragement 😊 HUGS! We love you too! LOL. Reviews have become a necessity in helping market a book. I've even bought a book because of a negative review! Honest reviews are genuine and readers and see that. Great article, sweet Beth! I need that virtual donut today! I love reviewers! I'm not good at writing reviews like y'all. Mine are like one sentence, LOL, and only for books I enjoyed. You have a hard job! Janet, one sentences are just as important! Not only does it add to the review counts that Amazon so love, but it lets others know that you loved it (or not like it) enough to spend time to write something. Some great tips on reviewing--just shared! And it's so fun to see you three reviewers answering questions here today! Keep up the amazing work! Heather, we're glad you stopped by! I'm no where near the "professional" reviewer that Annie, Carrie and Beth are. 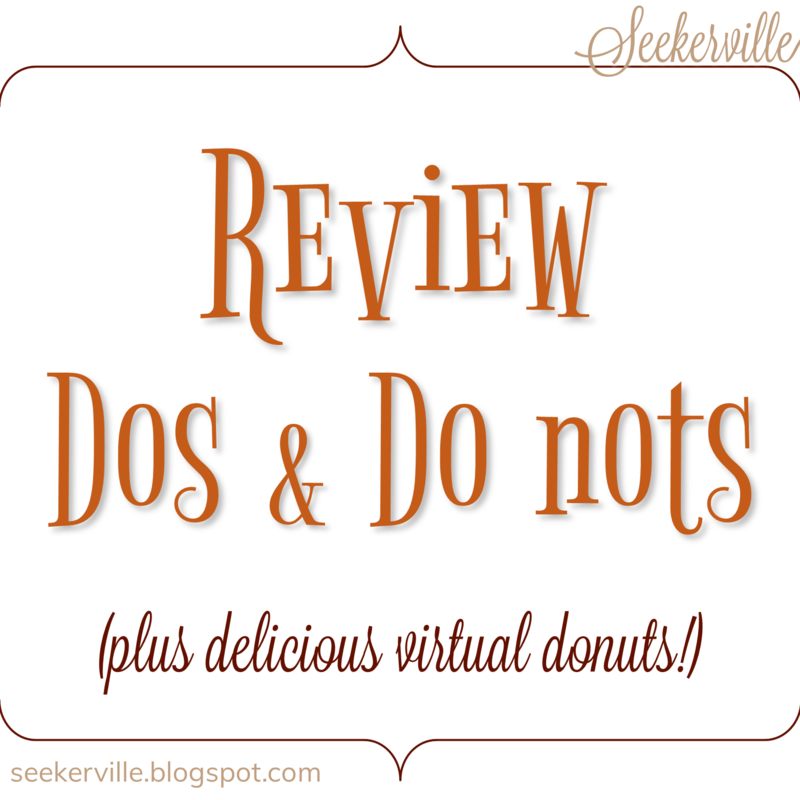 But I agree 100% with the do's and don't's of writing a review. Because I don't have a blog (I have zero time for that! ), I think it frees me up a bit more to be flexible on both schedule and books to be read. I have no shortage of books at any given time at that, lol! I think I've learned quite a bit over the past two plus years about writing reviews. It's like the writing craft for our authors, you learn, grow and stretch in your abilities. I've also taken mental notes on how other reviewers approach their reviews. What do they focus on? What do they like or dislike and how do they word it? How do they handle a book they didn't like in their review? How much (if anything) do they give away? I've taken a lot away from other reviewers and hopefully found my own "voice" when it comes to writing my own. My hope is that I continue to grow as a reviewer and that through them, I can help other readers discover new books & get them excited about them! Trixi, I think I 'heard' you say that once, about not giving away more than what's in the back cover copy. And I've tried to follow that rule of thumb ever since! <3 Thank you for all you do, dear one! Yes! Trixi, you are a treasure! I'm so happy to see more opportunities opening up for reader reviewers! Now you truly don't need a blog to qualify for more review opportunities and yes, blogs are time consuming! I'm a back blurb spoiler proofed as well. Trixi, that's a great rule of thumb for spoilers! Hey Trixi. I tried to find the spoiler review of that book. ( I just finished it.) Did someone take the review down ? I couldn’t find it. I’m just about to write my review. Beth, I loved this! What fun to get a peak into the mind of a reviewer. And I appreciate the tips you shared. I love the way you look at things and the thought you put into your reviews. So enlightening. Thank you! Thanks, Mindy! I assure you we book bloggers had no idea we were so fascinating, lol! You really can learn a lot about a person through their reading and writing habits. Hugs! Great list! Because I have short term memory loss I am constantly making notes in the book. In a paper copy I have a sticky note and in kindle I am writing notes. This helps when it comes to writing the review. I also usually take a couple of days to think out the review. If I write it on the fly I miss a bunch. Andi, I think jotting notes would really help me. That's a great idea! I love it when the Three Blogging Amigos put their heads together and one of them comes up with a rocking cool post like this one. Also, throwing a bit more book-themed confetti around, because it's fun! I am someone looking forward to reviewing your story! Yay for book-fetti!!! I do generally include a brief summary, as I'm used to doing that for publications. I know I'm late to the party. I hope there are still some jelly donuts left! Why yes, there are plenty of donuts! Thank you for the nod of approval, Leslie! Publication reviews are not nearly as enjoyable to write, in my opinion. Summaries are necessary in that instance since the reader doesn't have direct access to the blurb. Oh, but it is a hard habit to break so I don't hold a little summarizing against you one bit! Beth, I do hope you have a chocolate donut with custard filling left for me! I need one about now. Thanks for this wonderful post. It's always helpful to hear hints and suggestions from others. I very seldom write reviews that are more than a couple of paragraphs long. I'm not an eloquent writer, so I figure why should I stress myself writing long ones when I could be reading more books instead? I post the review on a minimum of 6 sites, so that gives the book a lot of exposure. I love doing this to promote my favorite authors and Christian Fiction in general. Thanks, Beth, and Carrie and Annie, for all you do! You're amazing! I love reading the Seekerville posts and hearing from all the talented people here. Thanks, everyone, and hugs to you all!! Winnie, we've got your afternoon chocolate fix right here, no calories and as delicious as you can imagine! Your logic makes perfect sense to me, friend! Keep doing what you are doing! HUGS! Beth, great post! I'm always wondering if I'm writing reviews the "right" way. It's good to know there is no hard and fast right/wrong way to write a review. I appreciate your do's and don'ts. SO helpful. And I loved reading Annie's and Carrie's thoughts on reviewing as well. I don't write a ton of reviews. Mostly because I am a slow reader (read not a lot of time). I know reviews are important, but it seems like they take me a long time to write. I am a part of a few influencer teams, but I try not to overcommit so I can read great books and help authors, but I also try to leave a little time to read "Just-for-me" books. Hi Jeanne! That's right, as long as you are following the rules for complimentary copies, the rest is up to you! Writing the reviews is still the hard part for me too, friend! Let's just get some serious hugging action for that pain and suffering. I hear you! Protect that pleasure reading time or you'll go a little crazy like Carrie, Annie, and me! I kid... mostly. Great post, girls :) The reviewing gig is not for the faint of heart, I would add. It takes time, energy, and effort...and a good dose of love for books and authors. My personal preference for reviews - both the ones I write and the ones I read - is less is more! I don't want details of the story really (especially nothing spoilery!) as the synopsis (mostly written by actual professionals) has that covered. I share with readers some quick points has to why I loved, liked, or didn't care much for a particular story. They are the type of reviews I enjoy reading, so they are also the kind I write! REL! Thank you! You are so right, juggling is a helpful skill when blogging and/or reviewing! I am going to have to adopt your "less is more" mantra before I lose my sanity! I so appreciate you stopping by, dear friend! Thanks for all of these great tips. I have been able to review several books recently and Ive enjoyed serving on several street teams and launches. I plan to bookmark this post! Hi Connie! I am delighted to live in your bookmarks! Thank you for your encouraging words and I am so glad the post was helpful to you! I love this perspective from you guys! Thank you so much for all you do to spread the work about Christian fiction. And booked 4-6 months out. Wow! You guys are super busy! Yay! Thank you, Pam! Reviews are only about half of my Faithfully Bookish posts right now since I'm juggling responsibilities on a few other blogs in addition to my real life homeschooling, wifey, camping season fun! So Carrie's 4 months is likely more books than my 6 months, lol! Fortunately we can count on one another for accountability when temptation comes knocking in a pretty book cover! 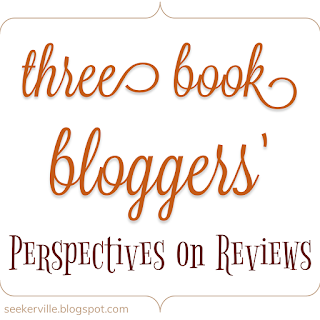 So fun to learn more about reviews and all of you reviewers! Thanks for sharing with us today! Hi Jackie! We certainly aren't accustomed to talking about ourselves but if it makes y'all happy... at least we know what we're talking about! Loved this post! It was so helpful! Good reminder for my blog! Bless your heart, Emilee! I hope this is just a brief season of extra hours for you! Working like that just wears on a body. Enjoy your reading escapes when you can squeeze them in and take care of yourself, friend! I salute you for continuing to blog at all with hours like that. HUGS! Mmmm, have two! I love you, little mama! Excellent post Beth, Carrie and Annie! I have learned much of what you posted here over the past four or five years I have been reviewing books. My problem is that I tend to be a little "long-winded" in my reviews, so recently I have made every effort to not be so "long-winded". And no spoilers!